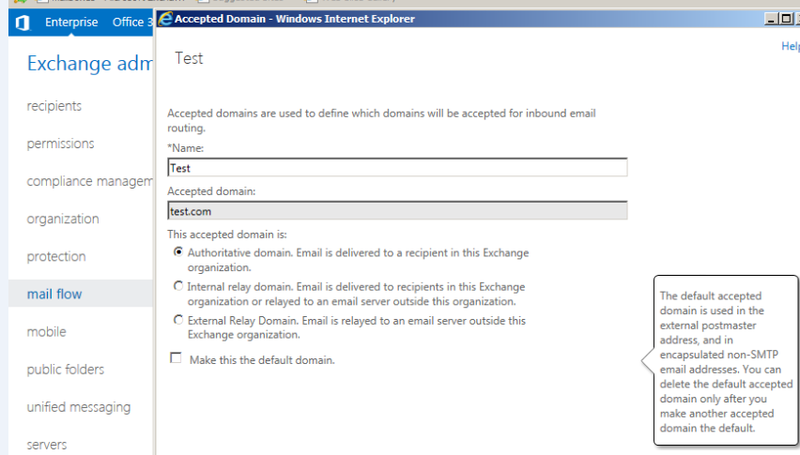 Open Exchange admin center .Click on mail flow and click on accepted domains. Just type the domain name which you wish to make it auth, internal relay or external relay. Also you have an option to make this domain as a default domain which make this to default domain . Make the required settings and click save.